You need to grow your top line in order to grow your company. 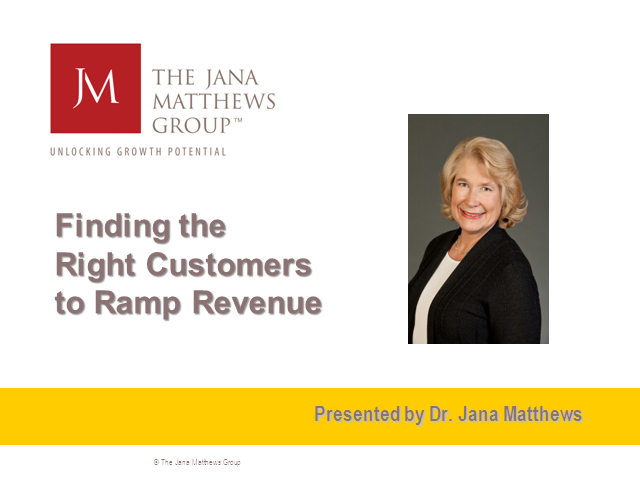 In this webinar we’ll help you determine which customers are “right” for your company, i.e., easiest to sell and service/generate the most revenue. We’ll also review some “go to market” strategies you can use to reach them.